Steeped in the history of the Old West, the city of Llano is settled at the edge of where the Highland Lakes’s Hill Country topography meets the plains of West Texas. 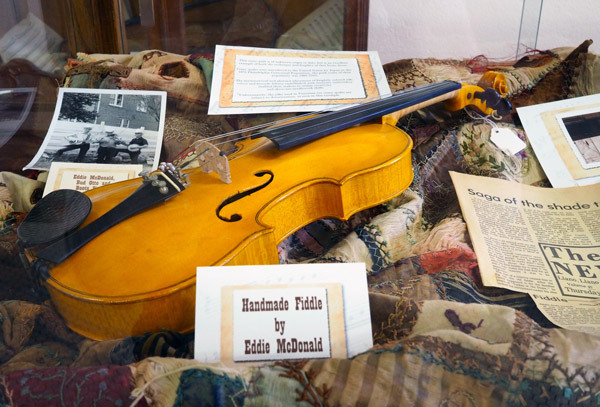 One of the best ways to discover that history is by checking out the Llano County Historical Museum on the south side of the Llano River. Housed in the old Bruhl's Drugstore, which was built in 1922, the museum features a variety of exhibits, including a farm and ranch room, military items, clothing, and tons of historic photos. A log cabin gives visitors a vivid glimpse of the how Llano settlers lived their lives in the 19th century. One of the best souvenirs available at the museum, the Llano County Family Heritage Cookbook, which was published in 2006, contains outstanding old-time recipes along with historic photos. The museum was founded in the early 1960s to honor the county’s vibrant and colorful history. Operated by the Llano County Historical Society, the museum’s mission is to conserve and interpret the county’s past and heritage. Llano was incorporated in 1856, five years before the Civil War split the United States into two. Until then, the city was an untamed area mostly settled by German farmers and ranchers and their families. The Llano County Historical Museum is located at 310 Bessemer (Texas 16) in Llano. It is open 11 a.m.-5 p.m. Wednesday-Saturday. For more information, visit llanomuseum.org or call (325) 247-3026. Editor Daniel Clifton and staff writer Jennifer Fierro contributed to this article.